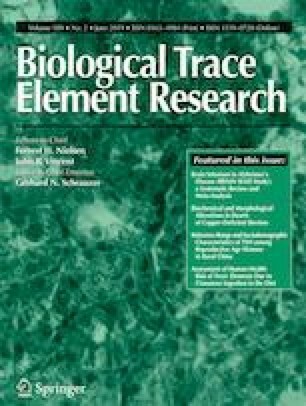 A previous study from our team found that continuous exposure to fluorine combined with aluminum (FA) impaired the neurobehavioral reflexes, spatial learning, and memory of offspring rats. To date, the specific mechanisms for these changes are unclear. Here, high-throughput sequencing was utilized to analyze the microRNA (miRNA) profile of the hippocampi in the offspring of rats exposed to FA during the embryonic stage and into adulthood through tap water supplemented with NaF and AlCl3 at concentrations of (0, 0); (60, 600); (120, 600); and (240, 600) mg/L, respectively. qRT-PCR was performed to validate the reliability of the sequence data. Twenty differentially expressed miRNAs were selected for further analysis using bioinformatics tools. Several genes related to neuromodulation were found to be regulated by miR-10a-5p, miR-34b-5p, and miR-182, which might be harmful to normal nerve function. The protein levels of brain-derived neurotrophic factor (BDNF) and tyrosine receptor kinase B (TrkB) in hippocampus were markedly downregulated. These data suggest that miR-10a-5p, miR-34b-5p, and miR-182 and BDNF-TrkB signaling pathway are involved in mechanisms of hippocampal damage in the offspring of rats exposed to FA. • Multiple miRNAs were significantly differentially expressed in offspring rat hippocampus after fluorine combined with aluminum (FA) exposure. • Twenty differentially expressed miRNAs might mediate FA-induced developmental neurotoxicity. • MiR-10a-5p, miR-34b-5p, and miR-182 were closely related to neurotoxic signaling of FA. • The BDNF-TrkB learning and memory-associated pathway was downregulated in the hippocampus after FA exposure. High-throughput sequencing were conducted by RiboBio Biotechnology, Guangzhou, China. This work was supported by the National Natural Science Foundation of China (Grant No. 81560519) and the Guizhou Science and Technology Support Plan (Grant No. 2753). Farhat SM, Mahboob A, Ahmed T (2017) Cortex- and amygdala-dependent learning and nicotinic acetylcholine receptor gene expression is severely impaired in mice orally treated with AlCl3. Biol Trace Elem Res 18. https://doi.org/10.1007/s12011-017-0942-1.